The Top 5 Most Dangerous Military Vehicles! 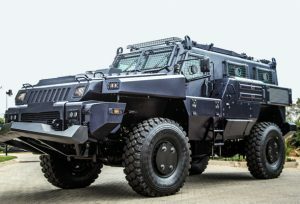 There are some vehicles that are built solely for inducing intimidation and threat and army vehicles come into that category! While it’s kind of disheartening to see that we live in a world that needs such pompous and destructive weapons of war, military vehicles are nevertheless captivating beasts that gearheads can’t get enough of. 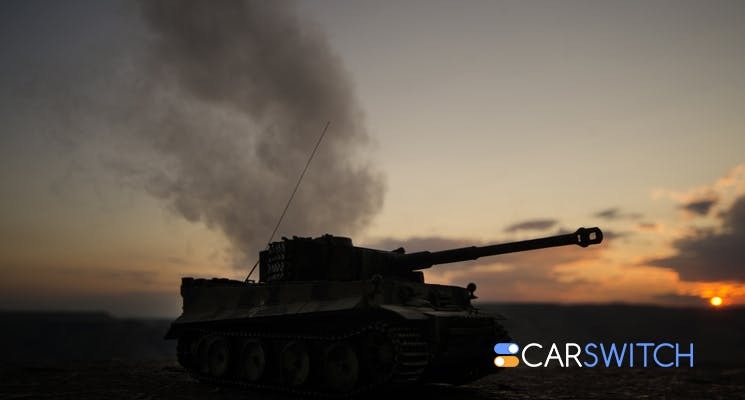 Here are five intriguing army monsters that we are actually glad you can’t sell car in Dubai to buy! Why it’s cool: Despite weighing a massive 25,000 pounds, the Punisher can reach top speeds of 93 mph. This giant, menacing beast built by the Russians was the answer to the humvee. 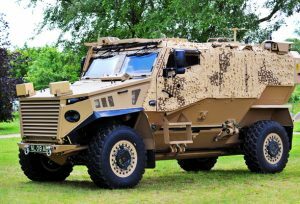 The troop carrier comes with 730 horsepower, with a V8 engine and is capable of resisting 30 calibre, small fires of AK-47. The gull wing style doors provide a clear entry into the formidable carrier. The side-swinging rear doors enable troops to fire from inside the carrier! The odd looking machine is capable of housing 10 personnel and despite its colossal size is a “lightweight” carrier. 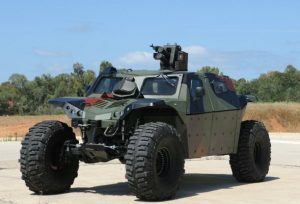 Why it’s cool: This real life ”transformer” is capable of surviving an IED attack. It also has a “lego-like”, modular structure that allows re-engineering and interchanging of its components, depending on the vehicle’s role. 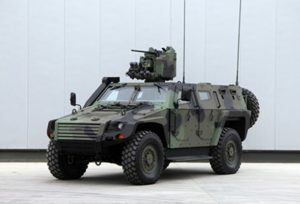 The Ocelot is designed as an LPPV (light protected patrol vehicle) and intended to provide protection against fabricated bombs and other explosive devices such as IEDs. The protective pod can house up to 6 personnel and allows active vehicle modification with changeable parts. For example, the Ocelot can be used as a jeep, an ambulance and supply vehicle. It can travel through tricky terrains of jungles, forests and deserts. It’s a true transformer and a fuel efficient one! Oh! If only we could sell car in Dubai for a “softer” version of this truck! Why it’s cool: It’s a bullet head that can churn out top speeds of 95 mph on-road and 75 mph off road on giant 54 inch tires! You can run, you can hide but you can’t escape. You know what scratch that! You won’t even be able to run! The combat guard is a real war hero as it is able to waft through five-feet of water, has 90 degree approach and departure angles and can climb 70 degree slopes! Why it’s cool: This fang-like beast is amphibious and can survive and thrive on both land and water! Octokar cobra reminds us yet again why killer car technologies are so jaw-droppingly awesome! The Octokar is a massive 12000 kg monster machine with a 6.7L, six cylinder, turbocharged, diesel engine. The Cobra produces a horsepower of 280 and a torque of 970 Nm. It delivers excellent performance in rough terrains and harsh climatic conditions, be they aquatic or terrestrial. Why it’s cool: It weighs a massive 21000 pounds and is powered by a 6-cylinder diesel engine. When you want some explosive stuff”, you go for Marauder! 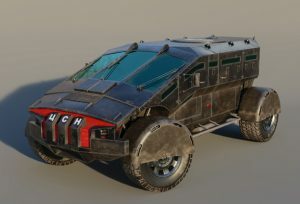 The Marauder has double, thick skinned armour that can take explosions of up to 8 kg TNT (trinitrotoluene, high-risk explosive) and 14 kg under the wheels. The Marauder has a normal, cruising speed of 60-75 mph and a maximum range of 700 km. These explosive vehicle technologies will make anyone’s blood cold. As gearheads, our curiosity has been amply satisfied and we’ll let the military handle these bad boys! 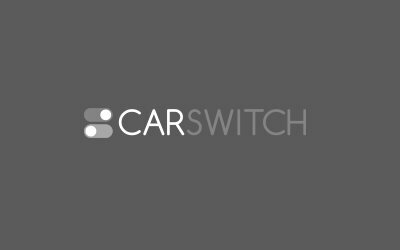 In the meantime, if you are in the mood for “car switching”, you can sell used car in Dubai or buy car in Dubai through CarSwitch.com. Happy switching in advance! Dubai’ans, Did You Know This Entire Ferrari Fleet Is for Sale? Always wanted to buy a Ferrari? Well, now might just be the time to sell car. Beware of these 5 Types of Speedsters in Dubai! Speeding contributes to around 44% of road accidents, according to the Abu Dhabi Traffic facilities. Speed. The All-Electric Club Welcomes the All-New Mercedes Benz EQ! It’s happening again! Mercedes Benz has officially confirmed the release of its fully-electric SUV. With the. Whether you are cruising around in your newly bought ride, or getting ready to sell car.